This statistic shows the share of the U.S. population who are monthly active users of Facebook from 2017 to 2023. 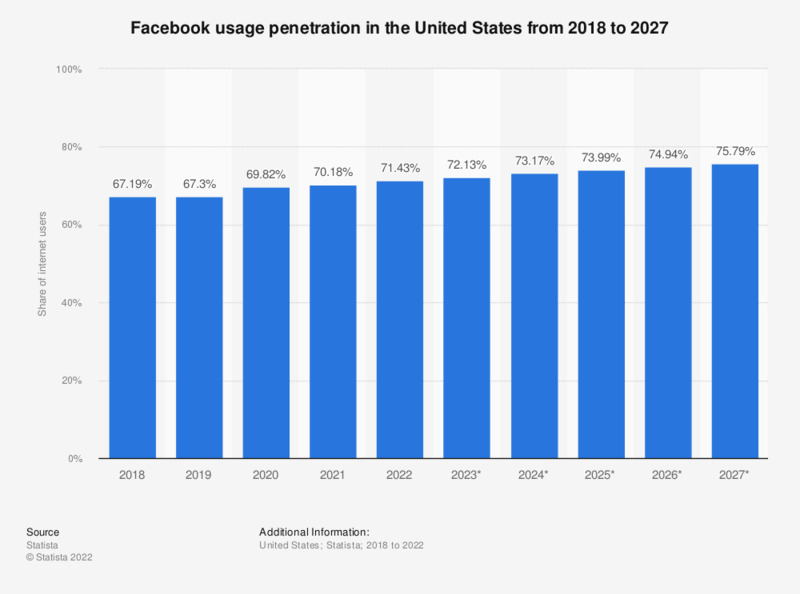 In 2018, 67.5 percent of Americans used Facebook regularly and in 2023, the share of the population using the social network is projected to decline to 65.9 percent. As of January 2019, the United States is the country with the second-most Facebook subscribers.